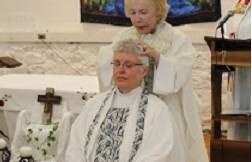 Bridget Mary Meehan, MA, DMin, of Sarasota, FL is the first Bishop of ARCWP. She is a Sister for Christian Community. 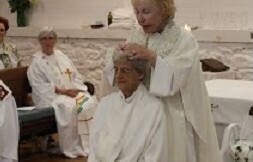 Bridget Mary serves Mary Mother of Jesus Inclusive Catholic Community in Sarasota, Florida. Bridget Mary is author of twenty books. She is currently Dean of the Doctor of Ministry Program for Global Ministries University and Co-creator of Peoples Catholic Seminary. Her work in communications media includes programs about women priests on Google and YouTube. 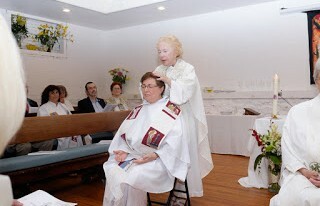 Bridget Mary was ordained a priest in the first USA ordination in Pittsburgh on July 31, 2006 and was ordained a bishop in Santa Barbara, California on April 19, 2009. Mary Eileen Collingwood of Hudson, OH, has served for over 40 years in church ministry. With an MA in Theology from St. Mary Seminary and Graduate School of Theology in Wickliffe, OH, Mary served as Director of Religious Education, Coordinator for Marriage Preparation, Pastoral Associate, Director of the Diocesan Pro-Life Office and on various boards and councils. Mary and her husband, Rich, continue to be blessed with seven children and are grandparents. 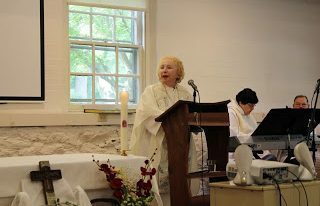 Weekly celebration of Eucharist, administering the sacraments, pastoral counseling, and supporting women in ordained ministry are her calling and passion. 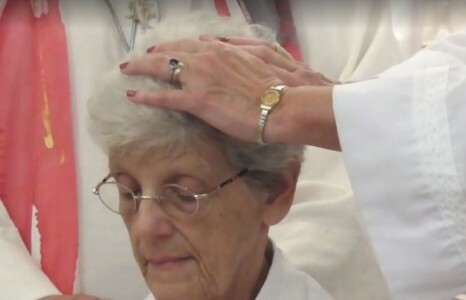 Mary was ordained a priest in Brecksville, Ohio on May 24, 2014. Michele Birch-Conery of Windsor, Ontario, Canada. 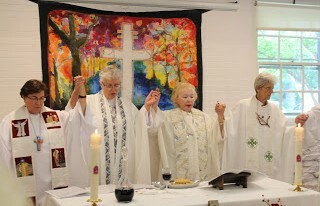 She celebrated her 10th anniversary as Canada’s first woman priest on July 25th. Michele was ordained a deacon in Passau, Germany in 2004 and a priest in 2005 on the St. Lawrence Seaway. A retired professor of English Literature and Women’s Studies with a focus on Women and Religion, she lived and ministered on Vancouver Island with outreach to the LGBTQ Dignity Vancouver community. 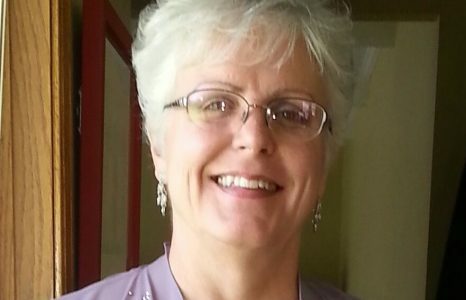 In 2013, Michele moved to Windsor where she collaborates with priest Barbara Billey and their Heart of Compassion Faith Communities in Ontario and Michigan. Olga Lucia Alvarez of Medellin, Colombia, was educated by the Dominican Sisters of the Presentation. Olga did USEMI Missionary work with indigenous and Afro-Colombian communities and was secretary of CELAM Medellin in 1968. Formation included religious studies, pastoral ministry, higher catechesis superior, liberation theology and an emphasis on popular reading of the Bible. 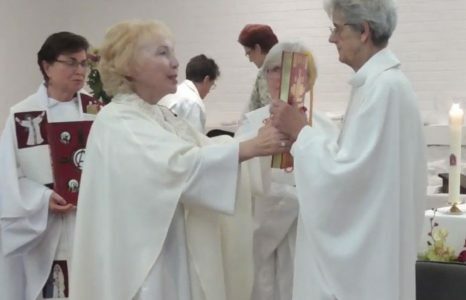 Olga was ordained a priest in Sarasota, Florida on December 11, 2010. She accompanies several communities and strengthens the ecumenical base primarily of the itinerant. Olga works with women ex-convicts and ASFADDES (Association of Families of the Disappeared). She is author of several books and articles in biblical-theological reflection and is a member of the Collective of Ecumenical Bible Scholars (CEDEMI).